6950U 2353 hearing a station with "Happy Hallowe'en" and Dance style music - s5/6. 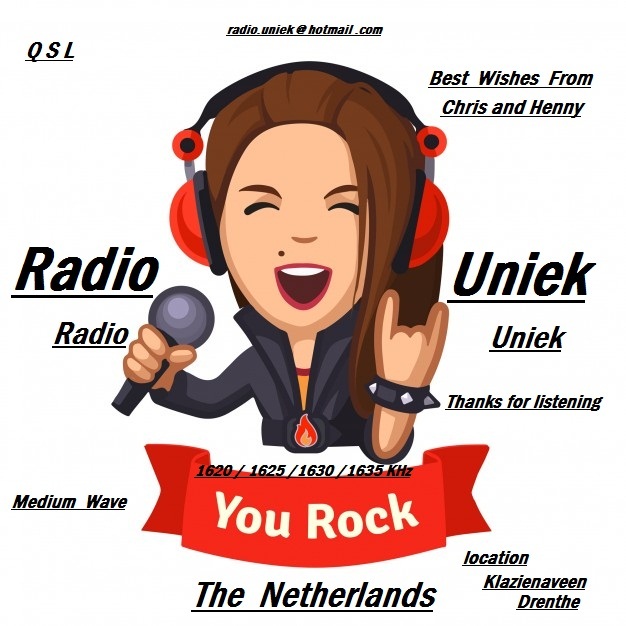 ID jingle (female voice) in English: "Clever Name Radio" My first US pirate! also faint snatches of a signal on 6935U at around 2350, possibly Wolverine Radio from The USA. 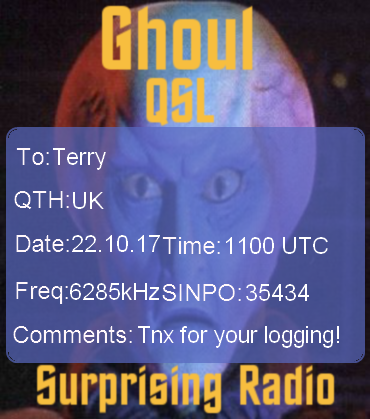 Many thanks to the QSL Helper! We'll see how many stations show up during the next weekend. 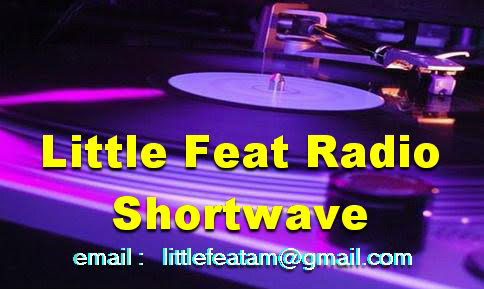 It seems unlikely that stations will be using 13 meters this time and much more likely that stations will be trying the 6900-kHz range and possibly 31 and 25 meters. 1630 2000 Mi Amigo – 32322 – Selection of Dutch music, Melkbus also on same frequency, so difficult to hear. 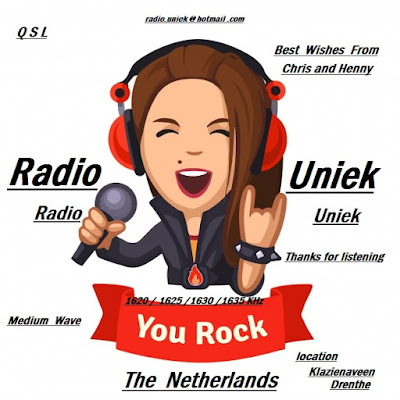 It is always appreciated when radio stations send a QSL card without being asked or emailed. 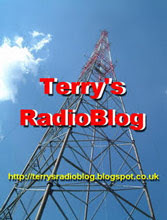 The message reads: "Thanks for the reception report on Terry's Radio Blog. Very good work, Terry"
1647 1942 - 35434 Witte Tornado en Lady - "Pied Piper" by Crispian St. Peters. The Lady announced they had to close down and was thanking all listeners. SWCHolland reports that Witte Tornado was visited by the AT (Agentschaap Telecom) and ordered to close down.